Case: 18K White Gold measuring 42.2 mm in diameter. Dial: Khaki Green embossed dial with white gold applied numerals with luminescent coating. 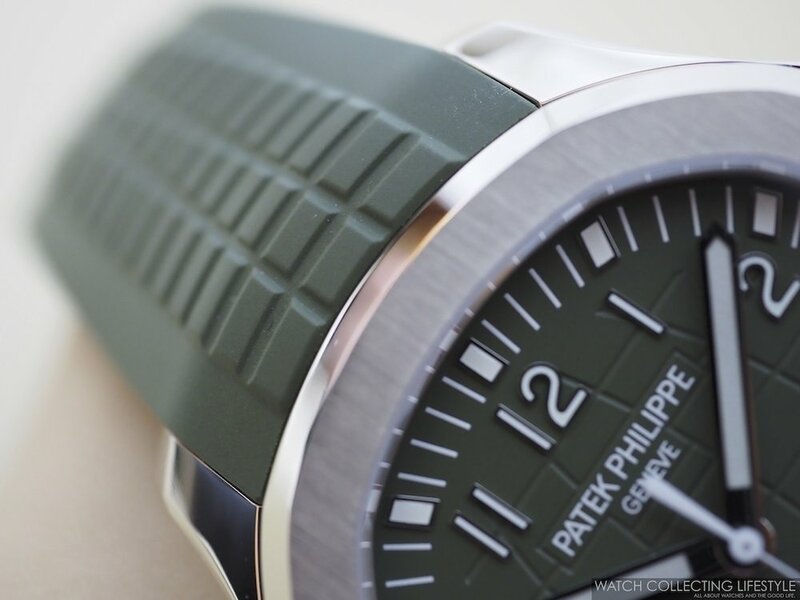 Strap: Khaki Green tropical strap in rubber composite with Patek folding clasp like on the ref. 5167. Movement: Automatic calibre 324 S C with 29 jewels and 213 parts. Beating at a frequency of 28,800 vph to provide a power reserve of 45 hours. 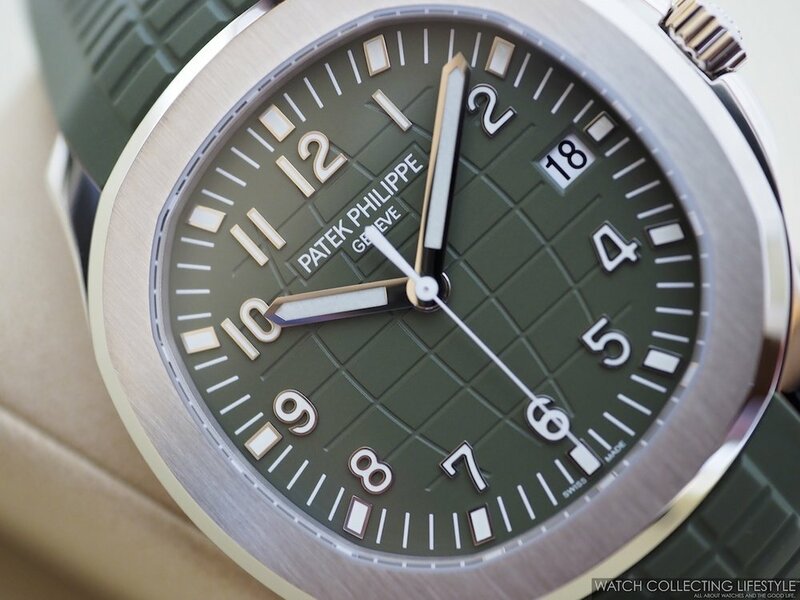 This new Patek Philippe Aquanaut Khaki Green ref. 5168-10 has no limitation and the watch wears true to its size. An amazing color combination that makes the Aquanaut even more desirable and very cool with a color that will for sure appeal to the younger watch collectors. Sticker Price $39,691 USD. For more info on Patek Philippe click here.